1. Lightweight - as low as 7.2kg on the 12" / 7.4kg on the 16"
2. Bike's geometry designed to let rider's weight evenly distributed between the hands, feet, and seat - gives them steady ride without wobbling sideways making it feel safe. 3. Reversible seat post designed to allow adjustability of the distance between the seat and the handlebars, maximizing rider's range of body positioning and adjustability. 4. Front & rear hand brakes. 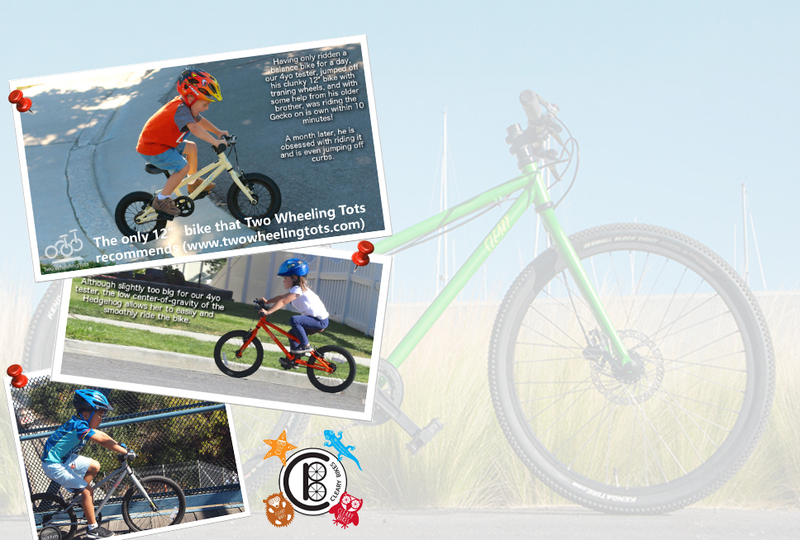 Grips, handlebars and brake levers designed for small hands. 5. Protective sealant under its lead-free paint to prevent dents, dings, and rust. 6. All Cleary bikes have no derailleurs, so nothing will block the chain because the chain always turns in alignment. To put it simple, Clearly Bikes ride smoothly and silently day after day. We GUARANTEE it.